JESUS, THE WAY OF SALVATION! One day, the Man from Galilee came to the river bank of Jordan where John was baptising and I can well imagine that when their eyes met, John must have smiled with recognition of two sorts. Firstly, he recognized his cousin, for Jesus and John were just that. Secondly, he recognized by divine revelation that Jesus was far more than merely that! The Baptist stepped forward, wading in the streams of Jordan, pointing his finger and shouting, “Behold the Lamb of God that taketh away the sin of the world!” John 1:29b. That term “lamb of God” would be familiar to the Jewish nation for they were accustomed to offering up lambs in sacrifice for their personal sins at the Temple, an institution God established through Moses, and was carried on some forty years after the crucifixion of Jesus (before it was destroyed by the Roman army led by General Titus in 70 AD). However, this was a lamb with a difference! This was the very Lamb of God! Isaiah 53:7"He was oppressed, and he was afflicted, yet he opened not his mouth: he is brought as a lamb to the slaughter, and as a sheep before her shearers is dumb, so he openeth not his mouth." "Surely he hath borne our griefs, and carried our sorrows: yet we did esteem him stricken, smitten of God, and afflicted. (5)But he was wounded for our transgressions, he was bruised for our iniquities: the chastisement of our peace was upon him; and with his stripes we are healed. (6)All we like sheep have gone astray; we have turned every one to his own way; and the LORD hath laid on him the iniquity of us all." So now we come to the central issue: the solution to the sin problem. While the physical aspects of crucifixion were unimaginably barbaric and agonizing beyond belief, they were the least of what the LORD Jesus endured on that cross. See Romans 3:10-12, 20, 23; compare these with 1 Corinthians 5:21; Hebrews 4:15 and 7:26; 1 Peter 1:19; 2:22. Just like those sacrificial lambs that would be sacrificed on the altars in the Temple had to be examined by professional priests who knew what to look for in the way of blemishes and imperfections, and reject such; any in whom resides the blemishes and imperfections of sin would be rejected by God as a viable sacrifice. See Romans 3: 25; 1 John 2: 2; 4: 10. Just think of the astounding Truth of this Supreme Act of God! The LORD God took the sins of every-single-human-being-in-the-entire-race - - with all these sins laid upon Jesus, our precious, tender hearted, loving LORD willingly took on Himself the full capacity of wrath, all of the judgment, all of the punishment that the Just God of Holiness would demand! "Blotting out the handwriting of ordinances that was against us, which was contrary to us, and took it out of the way, nailing it to his cross; "
“Ordinances” in this case refers to criminal charges of one found guilty, and in the court of God, that was us! That is, until JESUS came along and took it upon Himself, having it nailed to His cross! More than this: are you aware of the fact that Jesus not only bore our sins, but that in some deeply spiritual sense, actually became sin for us? "For he hath made him to be sin for us (emphasis mine), who knew no sin; that we might be made the righteousness of God in him." During the days of Moses, after the deliverance of the people of Israel from Egypt, and during the time of their wandering through the wilderness, the people were plagued by fiery (poisonous) serpents because of their constant whining, unbelief, and sin against God. However, as always, the judgment of God was tempered with mercy, for He had Moses make a serpent of bronze (bronze typifies ‘judgment’) and mounted it on a staff (some biblical scholars suggest that this staff actually had a cross beam on which this brass-fashioned serpent was coiled); any who would simply look to this bronze staff would be healed. “Bizarre” you say? Yes, indeed! Why did God go through such an elaborate method, when He could have simply spoken His Word, and it would have been done? "For whatsoever things were written aforetime were written for our learning, that we through patience and comfort of the scriptures might have hope. " The LORD Jesus used this historic event for an illustration to exemplify His own offer of salvation, to Israel and to the entire world, everyone who has been bitten by the ‘serpent of sin’ and thus be cured of its malignant malady. By faith any who looked on that bronze serpent were healed, so too, by faith all who look to Jesus are saved! But it doesn’t stop there! It gets even better than this! Not only can you, RIGHT NOW, on this VERY DAY be cleansed of all of your sins, and transgressions, and have the record wiped away from the account God has registered for the Day of Judgment, but you can also have imparted to you eternal life, a result of receiving the Resurrected LORD, Christ Jesus into your life (My own experience was on June 20, 1980: to read my testimony please visit FROM The MIND Of FIRE; use the search engine there: Scoping This Mind and type “Can I Get A Witness”)! "For the wages of sin is death; but the gift of God is eternal life through Jesus Christ our Lord. " With the sin solution made available, any who receives this can then be abundantly blessed with a real, live, ‘breathing’ relationship with God Almighty! It’s what God created us for, to please Him by interacting with Him, partaking of a love relationship! "Thou art worthy, O Lord, to receive glory and honor and power: for thou hast created all things, and for thy pleasure they are and were created." "That which we have seen and heard declare we unto you, that ye also may have fellowship with us: and truly our fellowship is with the Father, and with his Son Jesus Christ. " From the very beginning of the creation of man, God has had in mind a particular form of fellowship with us, of the highest quality possible, and this would entail the very God indwelling in us, all of us who receive Jesus Christ as our Sacrifice, our Savior and our LORD! ". . . for ye are the temple of the living God; as God hath said, I will dwell in them, and walk in them; and I will be their God, and they shall be my people." This is what the LORD Jesus was referring to in John 3:3-5 regarding the spiritual truth of being born again. Because of the fact that the human race had fallen into sin, because of the fact that the human heart could not be cured spiritually, because of the fact that salvation was impossible by any other means (see Matt. 26: 39; John 14:6), Jesus Christ Himself died for our sins, and slew our sins at His death, AND when He was resurrected, He brought with Him new life, made available to all, and upon the forgiveness and washing away of our sins, our newly created, clean hearts are made hospitable for the Holy Spirit of God to take up residence in! "Jesus answered and said unto him, Verily, verily, I say unto thee, Except a man be born again, he cannot see the kingdom of God. (4)Nicodemus saith unto him, How can a man be born when he is old? can he enter the second time into his mother's womb, and be born? (5) Jesus answered, Verily, verily, I say unto thee, Except a man be born of water and of the Spirit, he cannot enter into the kingdom of God. (6) That which is born of the flesh is flesh; and that which is born of the Spirit is spirit. (7) Marvel not that I said unto thee, Ye must be born again." "Nicodemus answered and said unto him, How can these things be? (10) Jesus answered and said unto him, Art thou a master of Israel, and knowest not these things?" And it seems that the LORD reproves Nicodemus, who was a highly regarded teacher (“master”) of Israel, for his apparent lack of knowledge concerning this spiritual truth. I used to think that this was a bit unfair, as the ‘born again’ teaching and experience was strictly New Testament. Well as far as experience yes, it is a New Testament phenomenon, but this truth was certainly taught in the Old Testament! "But as many as received him, to them gave he power to become the sons of God*, even to them that believe on his name. (13) Which were born, not of blood, nor of the will of the flesh, nor of the will of man, but of God. This term “sons of God” (Hebrew: “benai Ha Eloheim”) refers to a direct creation from God Himself: all angels, for example were created by God directly thus they are referred to as “sons of God” in Genesis 6 as well as in Job 1, 2, and elsewhere; angels have no progeny after their own kind. Adam was a son of God (Luke 3:38), for he was created by God from the dust of the earth; Adam’s sons were not “sons of God” for they weren’t created directly by God, but by God through Adam. Any who are born of God (i.e., born again) are “sons/children of God” because God directly created new hearts within us! "Whosoever believeth that Jesus is the Christ is born of God: and every one that loveth him that begat loveth him also that is begotten of him." If you have read this, and understand now what salvation means; if you begin to have an inkling of the depths, heights, widths, and breadths of Gods insurmountable love FOR YOU PERSONALLY, you can exercise your faith in the truth of God’s Word as represented in the Gospel of Jesus Christ, and conduct some heavenly interactions with the Creator of the Universe! How do you go about this precisely? As it’s been said before, it’s as simple as A, B, C! Firstly, Admit to God that you are indeed a sinner, that you have broken God’s Holy Law and are, in the Court of the Holy King, guilty as charged. This is something that requires a little humility. Not every one is willing to humble themselves with such an admission, and that’s because of pride. I would agree that this is certainly one of the leading causes, however, the one primary cause for atheism has always been, and is, pride. They refuse to admit that they are in any way a sinner, that their heart is as the Bible states, desperately wicked (remember Jer. 17:9). They refuse to admit that they need help of any kind, most of all, any help from God! Yet God promises that whoever humbles himself before the LORD, He will exalt in due time! See: 1 Peter 5: 6. Repentance from sin, a sinful life and from self, turning away from these things and turning to God are requirements for salvation. One must seriously "count the cost" if one decides to follow Christ Jesus and commit their life (irrevocably) to Him as LORD and SAVIOR. The salvation of the soul is a glorious exaltation of love, grace, joy and peace! Secondly, Believe that God has raised Jesus Christ from the dead, having paid for the penalty of our sins, and utterly destroyed both it and its power over our lives! Believing God’s Word, and submitting yourself to the TRUTH of His Word will bring the desired results! "That if thou shalt confess with thy mouth the Lord Jesus, and shalt believe in thine heart that God hath raised him from the dead, thou shalt be saved. 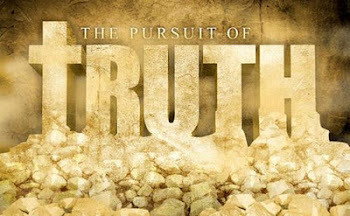 (10) For with the heart man believeth unto righteousness; and with the mouth confession is made unto salvation." Here is a prayer that you might pray, but remember it’s not so much the words, as your heart that’s important. ”LORD, I admit to You that I have sinned in my life, and that I am guilty of disobeying your Holy Law, but I also understand that You loved me enough to send Your Son, Jesus to take my place on the cross, to take my own sins upon Him, and suffer the Judgment of God for me, and allowing me to escape the punishment of hell. Thank You LORD for doing this for me, and for making a Way to forgive all of my sins, to wash me clean from all of them, and providing the means to creating in me a new, clean heart. I receive you now Jesus, as my LORD and Savior, I receive you into my heart and ask You to come live inside of me forever, and make me a new person. I believe You LORD Jesus, and Your promise to me for salvation, and for assurance that when I die, or until You return, I will have a place guaranteed in heaven with You! Thank You LORD Jesus, and thank You God, for becoming my Father! May I live a life that is honoring to You! Now if you have prayed this prayer, and meant it, at this point in time, regardless of how you may feel, YOU – ARE – SAVED! The LORD Jesus has cleansed you of sin, and in a very real, spiritual sense, you are indwelt by the Spirit of the Living God! How can you know if this conversion of yours is real? You will find you've had a change of heart: you will find that you now desire to please God: to read and learn His Word, and to your amazement you will begin to understand the Bible as NEVER before! You will desire to have fellowship with other believers; you will discover new vitality in your prayer life. Your feeling toward sin will change too; you will no longer desire to sin as you used to (not to say there won't be tempation and attraction) and you'll find that sinning now will bother you like it never did before. You will begin to produce "fruit of the Holy Spirit" (Gal. 5:22-23) by God's grace. The more you feed upon God's Word, the more you enter into times of prayer with God, the more greatly these convictions and changes will take place in your life! What do you do next? 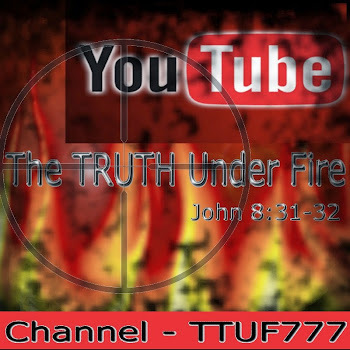 I would encourage you to contact us here at The TRUTH Under FIRE via email, and tell them what you did! I know they will be very happy to share with you, and rejoice in your decision to receive salvation! * You may contact us at: TheTRUTHunderFIRE@gmail.com; or if you would rather, you may contact Pastor Bob Lawrenz at Whitestone Christian Fellowship: www.whitestonecf.blog.com. You haven’t joined a denomination or a church per se just now; you have joined the kingdom of God, and have become His child! It is very important that you find a good, Bible teaching church, but you need not feel all alone in this; pray! Ask the LORD to guide you to where He would have you go, and He will! Also, because of the fact that spiritually speaking you are a brand new person, a kind of new born baby ‘in the faith’, eating is very important! That is, spiritual food in the Word of God, the Bible. Begin reading this daily for nourishment, spiritual strength, wisdom, guidance, instruction, etc. Most of all, realize that the Bible is God’s Love Letter just for you! You will learn all about Jesus, and how He loves and cares for you, His plan for your life, and what He intends for you to do with what He has now granted to you. If you’re not sure where to start, what do you do? Right! Pray! God will guide you in this as well! Speaking of prayer, remember to pray to the LORD daily; set aside a special time to talk to Him, bring before Him your needs, and ask for guidance in all affairs in your life, Prayer is simply talking to God (and you can do this anywhere and any time), be real with Him as you would a close friend, for indeed, the LORD Jesus is your most faithful and closest Friend you will ever have! Begin to share with others what you have done; it’s the Gospel, “good news” and we can sure use all the good news we can get in such a world we have today! Its ok if you’re asked questions that you don’t have answers for! Allow the LORD to speak through you; when I first came to the LORD, I was astounded at times at the things that came out of my mouth! I remember thinking, “How did I know that? ?” The LORD can and will speak through you in sharing with others! Most of all, live a life of gratitude for all that the LORD has done for you, and remember: Jesus died for us so that we can live forever in Him; likewise we are to ‘die to ourselves’ to allow Jesus to live through us! In another segment of this ongoing article we will address God’s plan for those who are now born again, members of the kingdom of God, and what He intends for us in the glorious purposes He has prepared for us before even the world was made! "For by grace are ye saved through faith; and that not of yourselves: it is the gift of God: (9) Not of works, lest any man should boast. (10) For we are his workmanship, created in Christ Jesus unto good works, which God hath before ordained that we should walk in them." I pray that the LORD Jesus bless you all . . . WAY TOO MUCH!